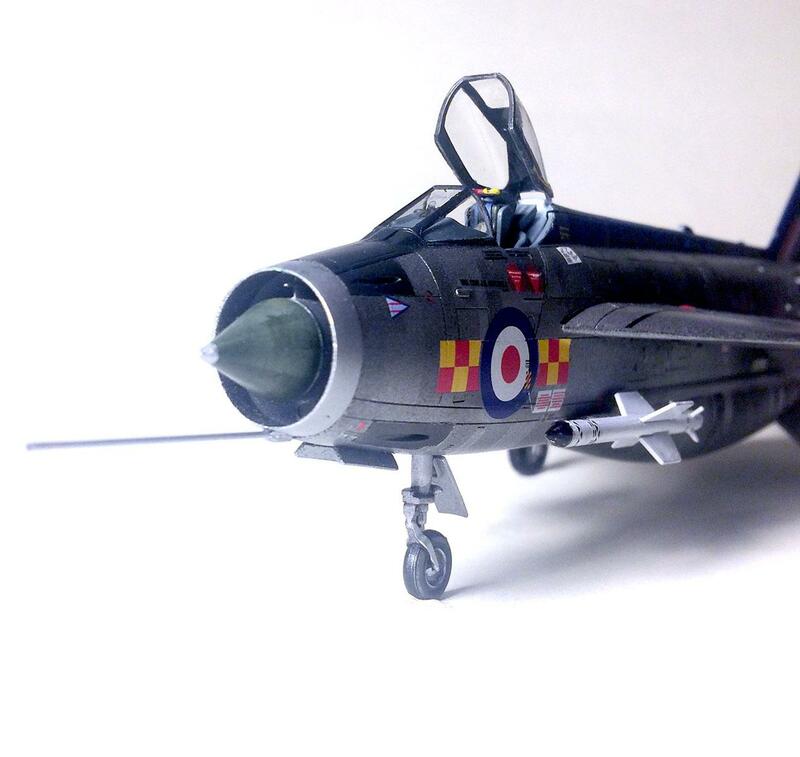 My attempt at the Airfix 1/72 English Electric Lightning F.2A. 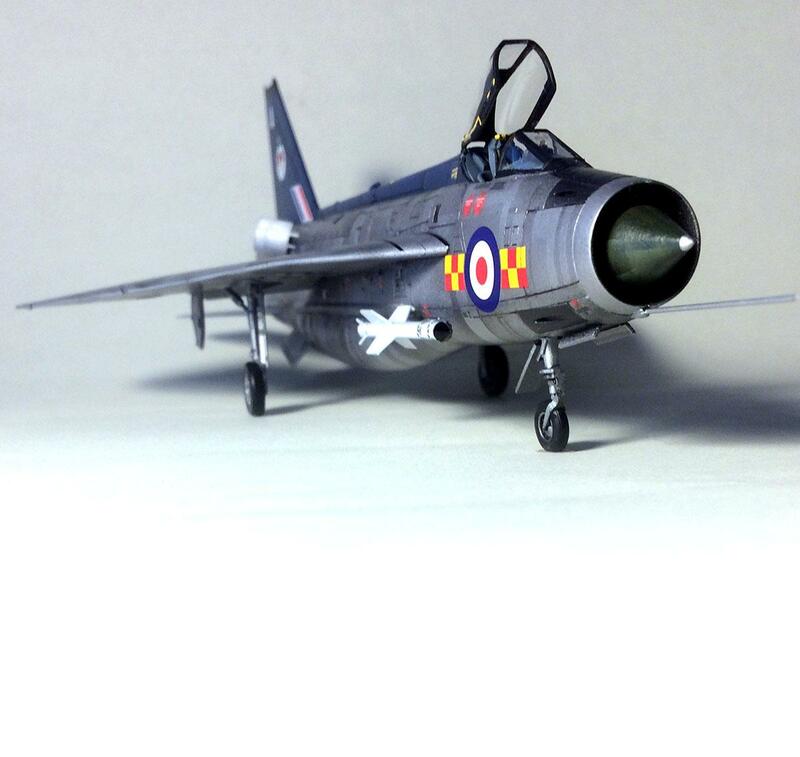 I chose the version flown by Wing Commander J.B. Michell of No. 92 Squadron, based in Gutersloh, Germany. It’s an imperfect build of a great little kit. 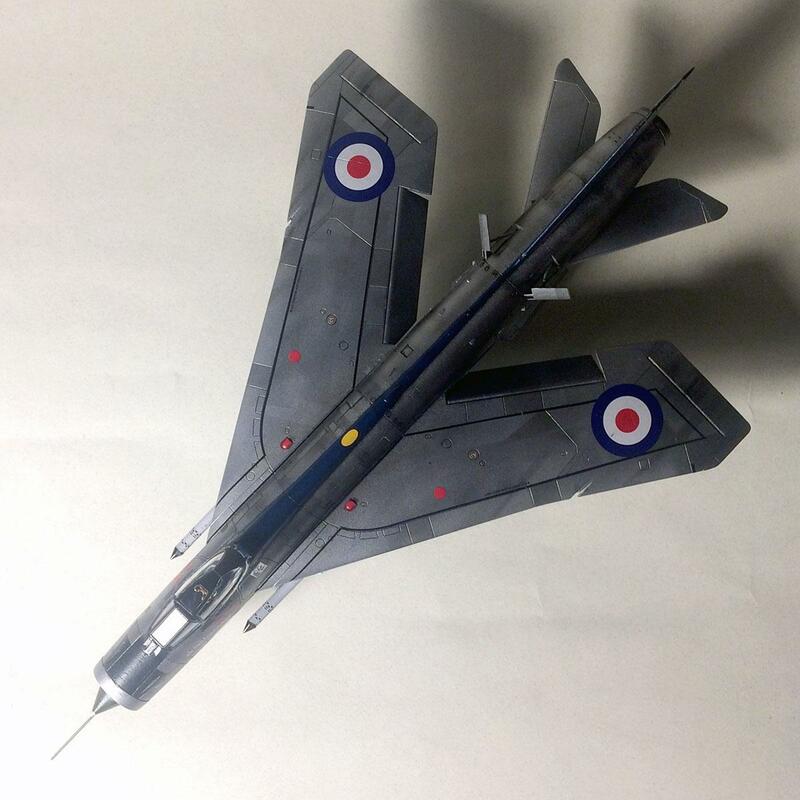 It’s so gratifying that Airfix are now producing kits with inventive engineering that make complex forms accessible to us less experienced modelers. I’m sure they’re also getting more people like me back into the ethos of building and researching these feats of aeronautic design. I used what came in the box, adding only a lead foil harness, and using a mix of Tamiya paint and Model Master metallics in an attempt to imply a varied naked metal skin. 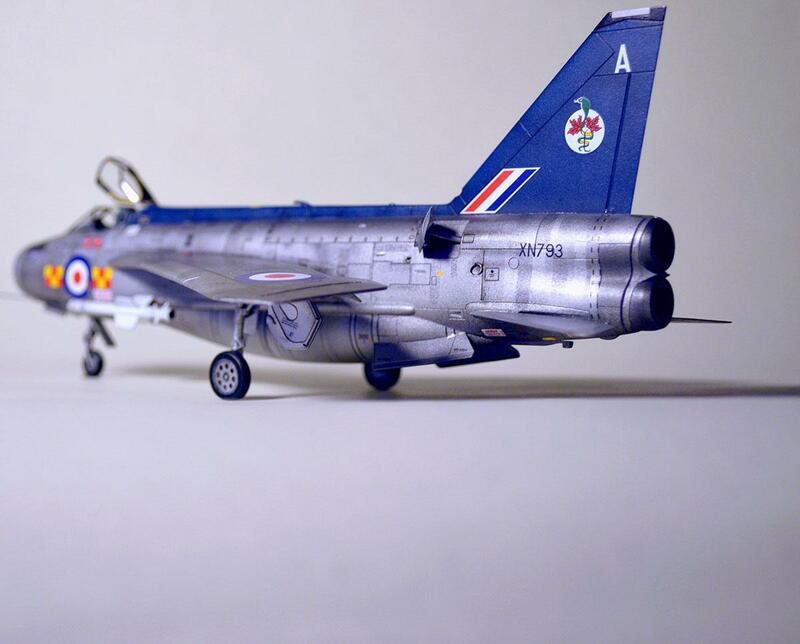 I was inspired in part by the glorious installation of the Lightning at RAF Cosford, and my dad building a lovely little version of this many years ago, which hung on my bedroom ceiling. My second completed airplane build in decades is dedicated to him. This is only your second build in decades ? ?, you have a natural talent because this is a very, very good job. Well done Sir. Thanks, Neil – much appreciated! That’s very encouraging. It’s just a start; more to come soon I hope. Great job, Tim, on a wonderful kit. And special applause for getting the wing anhedral correct; most modelers do not. Yes indeed, it IS like riding a bicycle! Very nice result. Nicely done Tim, looks good. Thanks very much, everyone. Looking forward to contributing more. Nice and clean work Tim … looks sharp and with a good sheen to it … nice work and welcome to the forum. Perhaps the best NMF in a Lightining model I’ve ever seen. And it certainly doesn’t look like a 1/72 scale model. You had me looking at those side photos several times…outstanding! Great build and finish. Especially considering the 1/72 scale. Ditto on all the positive comments. Definitely a box top model. Something that could be put on box and the manufacture could be proud of. Two thumbs up on a glorious build. Thanks, everyone! I really appreciate the feedback and generous support! You’ve made me feel very welcome here. Awesome! 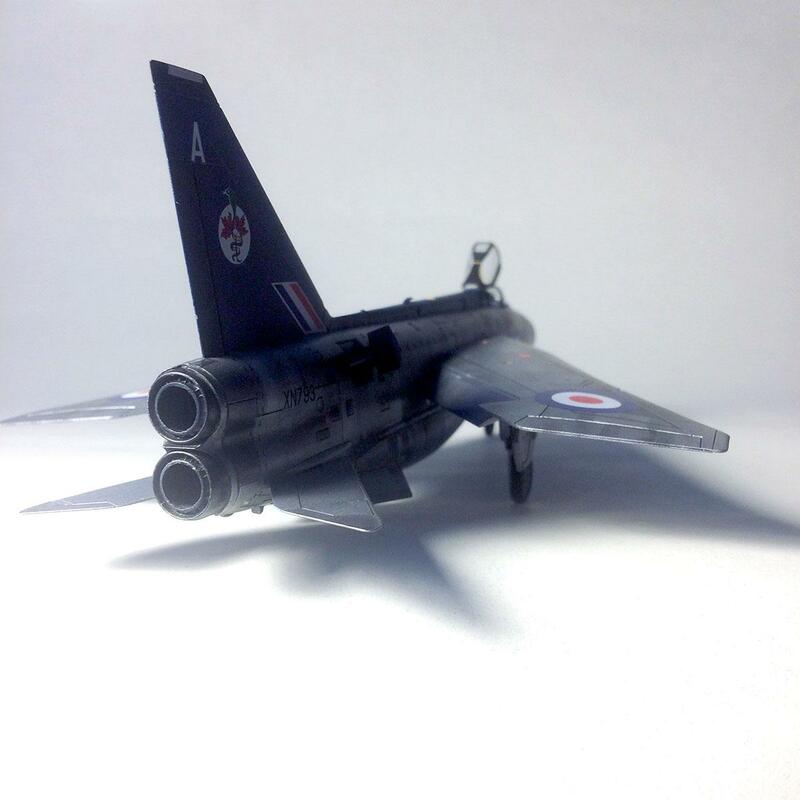 Great job for 1/72 size jet. Looked like the bigger 1/48 Airfix kit. You squeezed a lot of fine and sharp detail into this impressive build. 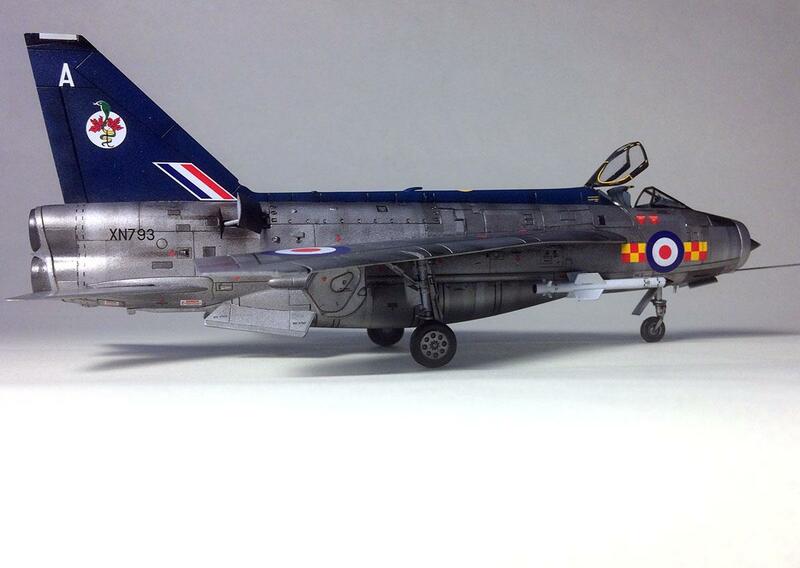 What a good looking jet and model. 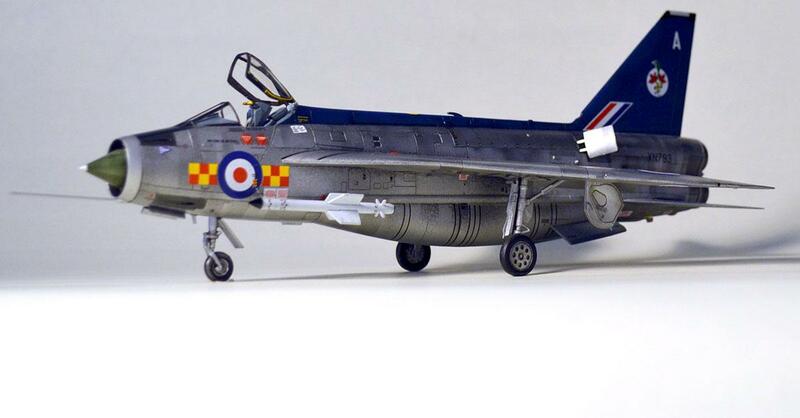 A great-looking Lightning – the variations in the NMF came off very nicely! Love that scheme – the blue and silver just look so great together.